If you study U.S. history in high school, you are aware of the gruesome picture painted in textbooks of how our ancestors treated American Indians. From before the “Trail of Tears,” to the present day. Now in the 21st Century, it could easily be argued that not a whole lot has changed regarding the treatment of native peoples. Attempts to exploit their land and disenfranchise a people who desire to find a place in America, continues to this day. Native Americans have twice the rate of victimization than that of African Americans, and more than 2.5 times that of whites. Native Americans experience serious psychological distress 1.5 times more than the general population. Compared to all other ethnic groups, Native Americans use and abuse alcohol and other drugs at younger ages and at higher rates. Post-traumatic stress disorder (PTSD) and alcohol use disorder (AUD) often go hand in among any group of people. Untreated PTSD commonly results in self-medicating with drugs and alcohol, which in turn leads to AUDs, and the like. 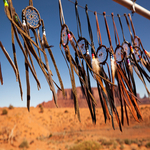 A new study sought to compare rate of PTSD and AUD among the Native peoples, to that of non-Hispanic Whites (NHWs), Newswise reports. The findings were published in the journal Alcoholism: Clinical and Experimental Research. The researchers found that PTSD was significantly associated with AUD in both populations, according to the article. However, the link was much greater among AI/ANs. AI and AN males experienced both PTSD and AUD at three times the rate of NHW men (9.5% vs. 3.1%). The research team would like to see more studies that look at the trauma that arises from cultural loss.